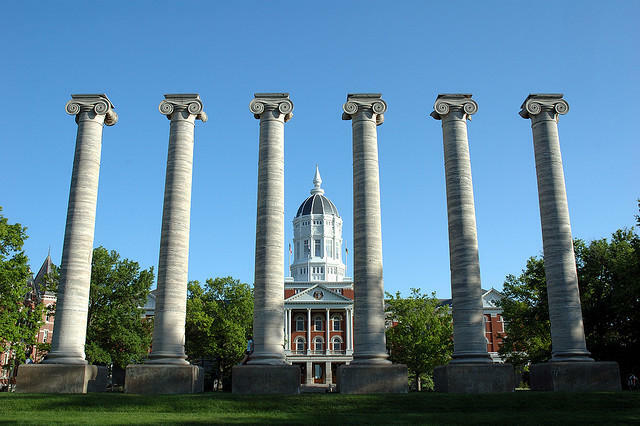 Dr. Susan Even, executive director for the University of Missouri’s Student Health Center said she hasn’t seen anything like the current outbreak in her 31 years at the school. She said all of the students her team treated for mumps had two MMR (Measles, Mumps and Rubella) vaccine doses -- a school requirement -- but they got sick anyway. Outbreaks are affecting several other universities. More than 300 cases were reported at the University of Illinois at Urbana-Champaign, and universities like Iowa State, Tufts University and Harvard, have seen cases as well. The largest current outbreak is in the state of Arkansas, which reports over 2,000 cases among school-age children and adults throughout the state since August this year. 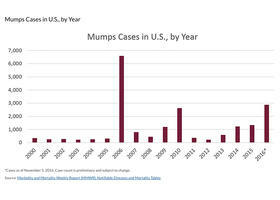 Mumps is no longer a particularly common illness, and it rarely causes serious complications. However, there is no treatment for the viral illness except rest. Common symptoms include swelling in the cheek and neck, fever and pain in the jaw, which can be alleviated by over-the-counter medications. Dr. Janell Routh, a medical epidemiologist for the Centers for Disease Control and Prevention who specializes in mumps, said it’s not surprising outbreaks are occurring on college campuses, where students often live in close quarters, eat together and party together. Dr. Dirk Haselow, the state’s epidemiologist and medical director of outbreak response said the state's health department has been holding clinics in places like churches, and schools to dispense the MMR vaccine. “We have people working 12 hours a day, seven days a week for months trying to get this under control. It’ s not for lack of effort,” Haselow said. Normally, people only receive two doses of the vaccine, but in Arkansas and also at the University of Missouri, officials are now recommending a third dose. It’s not clear if a third dose is effective in preventing the spread of mumps. 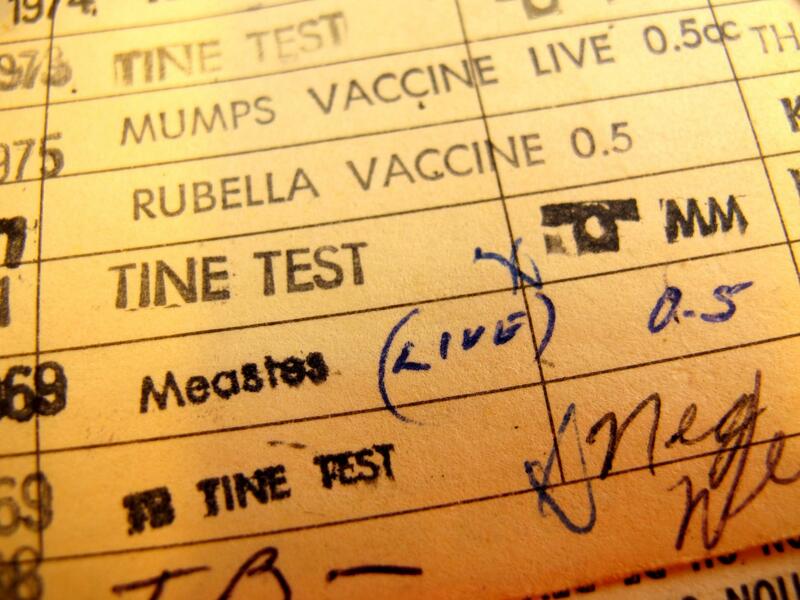 The CDC has not issued an official recommendation, stating in an online report from July: “The effectiveness of a third dose of MMR vaccine has not been established, but rationale exists for its use in outbreak settings.” However, both the state of Arkansas and the University of Missouri are hoping this will help stem the outbreaks. “Despite all that effort, we still continue to see this outbreak worsen. And we are concerned that the outbreak may indicate something unusual,” he said. “We are wondering whether the circulating strains have evolved away from the vaccine,” Haselow said. Researchers at the CDC aren’t sure they agree yet, according to a spokesperson, but they will be examining the data from the Arkansas outbreak once it is declared over. Haselow said that some samples have already been collected and sent to the CDC for analysis. Haselow stressed that the mumps vaccine is still the most effective protection against mumps infections. It makes it less likely you will contract mumps and greatly reduces the chances for severe complications if you do. Caroline Brown said that she knows several students who have or had the mumps, and she has even more friends who say they wish they could get mumps before finals. “I definitely wouldn’t wish it on anyone, but if people would rather have mumps than take their accounting final, then I guess I can’t blame them,” Brown said.